Today was another highlight day as I had the opportunity to drive down to Tucson and climb Mt Lemmon. I knew that I had no shot at getting the KOM on the short version of the climb after riding 104.5 miles yesterday and setting a new 25 minute power record taking the South Mountain KOM along the way. So I used Strava’s Explore feature to find a longer version of the climb that went all the way to the very top of the mountain. I figured that I had a shot at it if I just stayed steady at about 250 watts – well below my threshold power. I felt surprisingly good at the bottom, though, and managed to average 273 watts for the first 7 miles of the climb before the average started to drop – particularly into a headwind 2 mile section of the climb towards windy point. It was dropping about a watt every mile as I struggled to maintain 250 watts. Then somewhere between milepost 15 and 16 up a steady part of the climb, I was looking at my wattage and it was down to 97 watts. I knew that I was still pushing about the same effort, but I also knew I was starting to struggle so I pushed much harder to try to get it back up to 250 watts. But the highest I could get it to was something like 175 watts. Then I realized that something must be wrong with my power meter. I’m hoping it is just a dead battery. This was very demotivating for me as I was relying a lot on the power average to push myself to keep that average higher – but the average started dropping quite rapidly with my current power output hovering around 100 watts eventually dropping to zero watts. So for the last 1200 feet of the first section of the climb and for the entire last section up Ski Valley to the high point, I just kept the elevation screen on and watched the dot get closer to the high point. I tried to use PRE to put out the same power, but I’m sure I had dropped below 250 watts by this time. It was enough, though, as I was able to set three KOMs on the climb – the full monte, and two shorter climbs at the end. I was not in good shape by the top. I started late in the day (9:48AM) for this ride and had 18 miles of a gradual climb to reach the Catalina Highway where the official climb starts. I had two full bottles and a quarter of another bottle at the bottom – but I was completely out by the top. 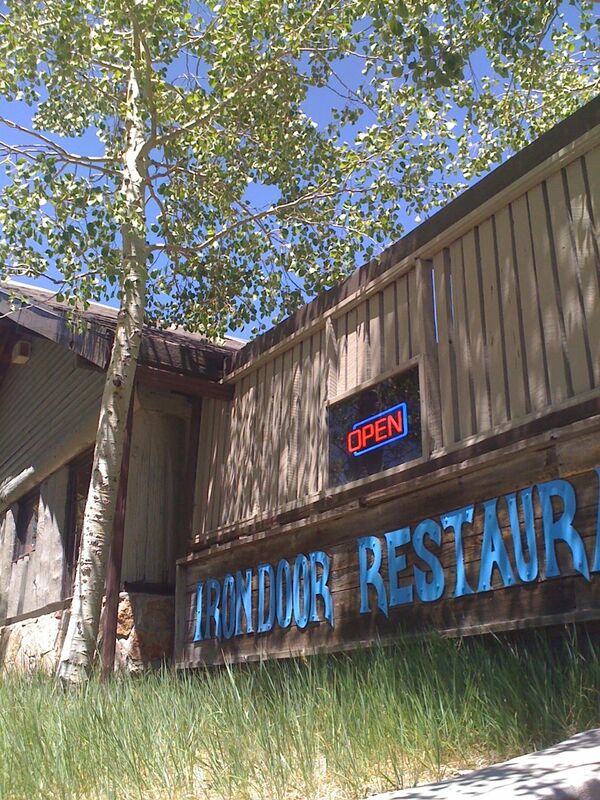 I did the last steep bit from the Irondoor Restaurant to the top with nothing to drink. Thankfully it was kinda cold at the top with temps in the upper 60s / lower 70s by the top and a steady wind blowing. Cold and very thirsty I asked one person to take my picture and then immediately headed back to the Irondoor Restaurant to refill water and get something to eat. 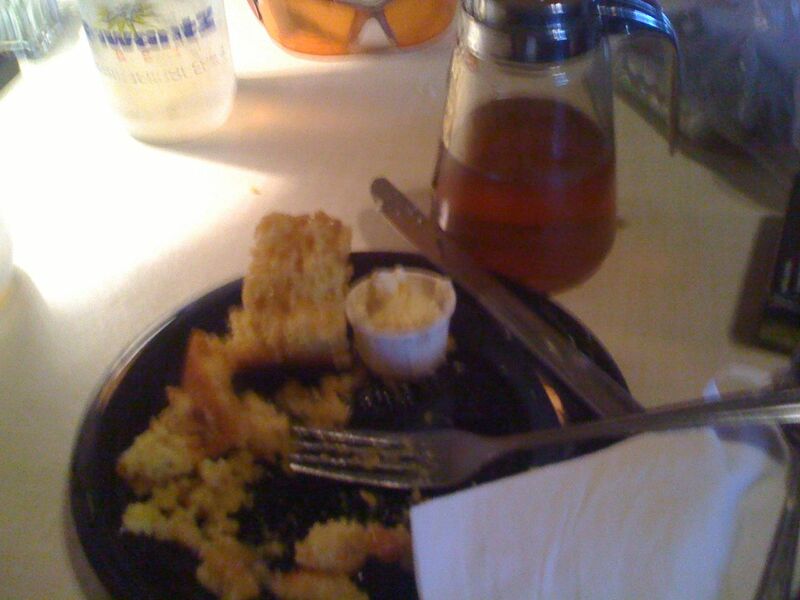 I had only brought $10 with me so all I could afford was coke ($3) and cornbread/honey ($4.50). It was all I needed though as I drank several glasses of coke and doused the cornbread with nearly half a bottle of honey. I stopped a couple times on the descent to get pictures, but by this point I really wanted to be done riding. I tried to push the pace on the descent but struggled to maintain 30mph on the flatter section and 40mph on the steeper sections. My max speed was 46mph – a little disappointing considering I regularly hit 50+mph on the steep descents in Birmingham. I kept the temperature screen open on my garmin and watched it rise through the 80s all the way to 101.2 by the start of the bikepath along the Rillito River. Fortunately, there was at least a little bit of shade on the bikepath and the temp on my Garmin dropped down to 98 by the end. This entry was posted in Training and tagged hot, kom, strava on May 29, 2012 by kartoone.